MONTREAL, QUEBEC 08 May 2017). CAE has been awarded a C$56 million contract by the General Headquarters (GHQ) of the United Arab Emirates (UAE) to provide the UAE Air Force and Air Defence with a comprehensive training solution for remotely piloted aircraft (RPA). Under terms of the five-year contract, CAE will deliver an integrated training solution that includes academic, simulator, and live flying training for the UAE Air Force‘s fleet of RPA systems. CAE’s local UAE-based company, CAE Maritime Middle East LLC, will serve as the prime contractor and program management company in Abu Dhabi. CAE will support the UAE Air Force and Air Defence in establishing a training centre where all RPA type conversion and mission training will be conducted. 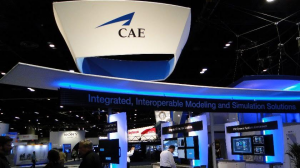 CAE will design and develop the courseware and comprehensive curriculum for academic and classroom training, including fundamentals courses for RPA pilots and sensor operators as well as courses specific to the UAE Air Force’s medium-altitude long-endurance (MALE) RPA platforms such as the General Atomics Predator family of RPAs. To support the ground-based training system, CAE will deliver a full suite of synthetic training equipment, including desktop trainers, sensor operator trainers, Unmanned Aerial System (UAS) mission trainers and high-fidelity, type-specific mission trainers. In addition to delivering the classroom and simulator training, CAE instructors will provide the live flying instruction for UAE Air Force RPA aircrews. CAE will also support the Khalifa Bin Zayed Air College in the development of an RPA Pilot Fundamentals training course as well as training instruction to be delivered as part of the cadet curriculum at the air college. The UAS mission trainers and type-specific mission trainer will include the CAE Medallion-6000 image generator with Common Database (CDB) architecture, which was recently adopted by the Open Geospatial Consortium (OGC) as an international standard for the creation of synthetic environment databases. This common software and standardization, which are also being deployed on naval and helicopter training systems that CAE is currently developing for the UAE, will further enhance networked, interoperable mission training across the UAE Armed Forces.